Six Oregon swimmers made the very long journey from Oregon down to Orlando, Florida to compete at the 2018 Pan American Masters Championships held from July 28 through August 4th, with the open water competition taking place on August 5th. The competition pool was 8 lanes and 50 meters long with depths ranging from 7 feet to 9 feet and the water temperature was nice, hovering somewhere around 79 or 80 degrees Fahrenheit. We swam well and did our best to make the rest of you back in Oregon proud of us! Full results can be found here: Oregon Results from 2018 Pan American Masters Champs. Willard (Wink) Lamb had another great meet and continued his apparent quest to rewrite all of the record books by setting five new Pan American records, one in each individual event he swam at the meet, which included the 50 free, 100 free, 200 free, 50 back and 200 back. In addition to those Pan Am records, Willard added another world record to his long list by bettering his own 2017 world record time in the 200-meter backstroke with a time of 4:34.73. Congrats Wink! 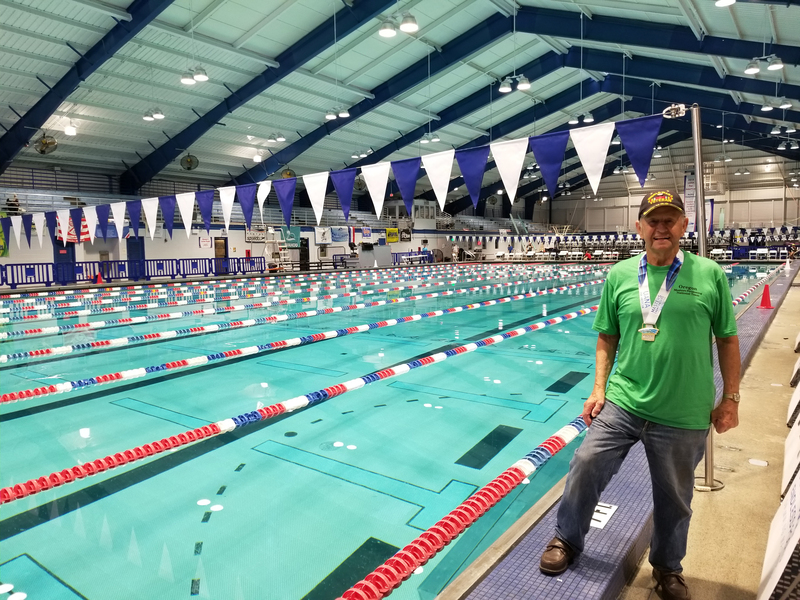 Willard came home with five Pan American gold medals in the 95-99 age group. It almost goes without saying at this point, but he is simply heads and shoulders above his peers, not only besting everyone in his age group, but everyone in the 90-94 age group and most everyone in the 85-89 age group. Amazing! 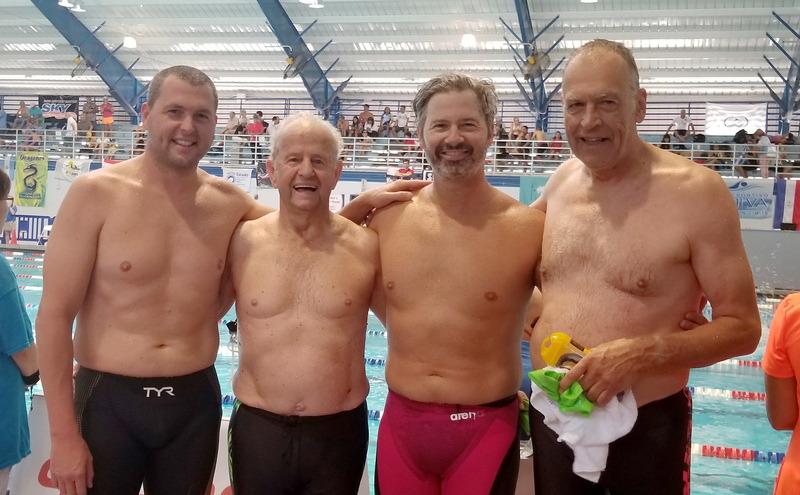 The rest of us from Oregon all had very good swims as well, with most of us placing in the top 10 in at least one event, and setting personal best times in our current age groups. Quite a few swims were even lifetime personal best times! Congrats Oregon swimmers! 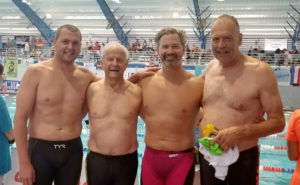 With four men from Oregon at the meet, we had just enough men to be able to swim relays. As most swimmers know, relays are always the best part of any meet and this meet was no exception!! The teams from South America were very energetic and cheered very loudly for their teammates throughout the meet, and especially so on relay day. It was an awesome atmosphere in which to swim! 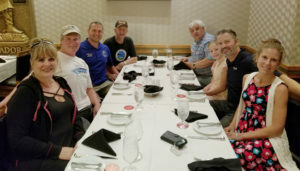 We put the cherry on top of relay day with a great Oregon team dinner at Fogo de Chão (minus Marcie, Shirlene and John, but including Bob). 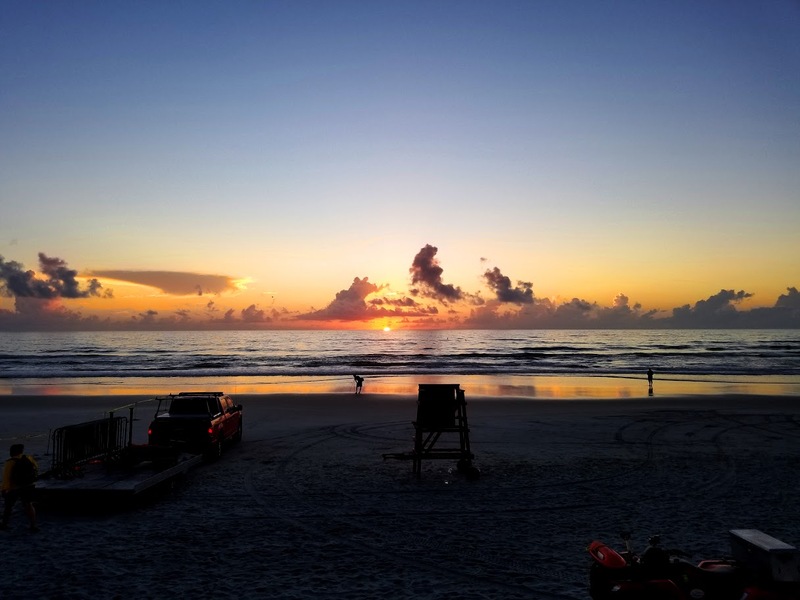 After the pool meet concluded on Saturday, August 4th, Christian and I headed over to Daytona Beach to participate in the open water portion of Pan Ams. There were two distances to choose from: 1500 meters or 5000 meters. I chose the 1500 and Christian entered the 5000. The surf was surprisingly big and the swims were rough but we both swam our hearts out and came out of the day with more hardware. Christian took 5th in the 45-59 age group for the 5000 with a time of 1:22:04 and I somehow was able to win the 1500 in my very competitive age group of men 40-44, taking 3rd overall with a time of 22:07 and nearly winning the event outright (1st and 2nd were less than a second apart finishing around 21:57). Christian and I both were super happy with our performances. Overall, for me the best part of these large meets is the people. Seeing old friends is always a treat and meeting new friends is so very easy in this incredible sport of swimming. I was able to see friends from all over the country who came out to participate. I also made quite a few new friends. While I love pushing myself in a competition setting, it is the friendships that keep me coming back year after year to these well-attended meets (please see the Coaches article for more on this subject). I am already looking forward to the next big meet, hope to see you there! !